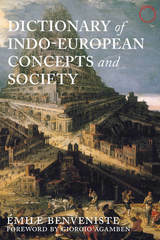 Since its publication in 1969, Émile Benveniste’s Vocabulaire—here in a new translation as the Dictionary of Indo-European Concepts and Society—has been the classic reference for tracing the institutional and conceptual genealogy of the sociocultural worlds of gifts, contracts, sacrifice, hospitality, authority, freedom, ancient economy, and kinship. 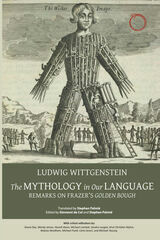 A comprehensive and comparative history of words with analyses of their underlying neglected genealogies and structures of signification—and this via a masterful journey through Germanic, Romance, Indo-Iranian, Latin, and Greek languages—Benveniste’s dictionary is a must-read for anthropologists, linguists, literary theorists, classicists, and philosophers alike. This book has famously inspired a wealth of thinkers, including Roland Barthes, Claude Lévi-Strauss, Pierre Bourdieu, Jacques Derrida, Umberto Eco, Giorgio Agamben, François Jullien, and many others. In this new volume, Benveniste’s masterpiece on the study of language and society finds new life for a new generation of scholars. As political fictions continue to separate and reify differences between European, Middle Eastern, and South Asian societies, Benveniste reminds us just how historically deep their interconnections are and that understanding the way our institutions are evoked through the words that describe them is more necessary than ever. For the Ankave of Papua New Guinea, men, unlike women, do not reach adulthood and become fathers simply by growing up and reproducing. What fathers—and by extension, men—actually are is a result of a series of relational transformations, operated in and by rituals in which men and women both perform complementary actions in separate spaces. 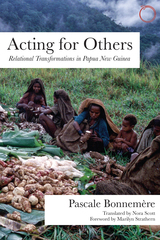 Acting for Others is a tour de force in Melanesian ethnography, gender studies, and theories of ritual. 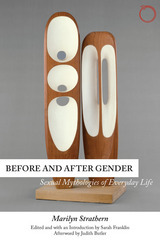 Based on years of fieldwork conducted by the author and her husband and co-ethnographer, this book’s “double view” of the Ankave ritual cycle—from women in the village and from the men in the forest—is novel, provocative, and one of the most incisive analyses of the emergence of ideas of gender in Papua New Guinea since Marilyn Strathern’s The Gender of the Gift. At the heart of Pascale Bonnemère’s argument is the idea that it is possible for genders to act for and upon one another, and to do so almost paradoxically, by limiting action through the obeying of taboos and other restrictions. 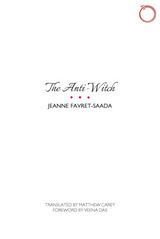 With this first English translation by acclaimed French translator Nora Scott, accompanied by a foreword from Marilyn Strathern, Acting for Others brings the Ankave ritual world to new theoretical life, challenging how we think about mutual action, mutual being, and mutual life. Fakes, forgery, counterfeits, hoaxes, frauds, knock-offs—such terms speak, ostensibly, to the inverse of truth or the obverse of authenticity and sincerity. Do all cultures equally spend an incredible amount of energy and labor on detecting differences between the phony and the genuine? 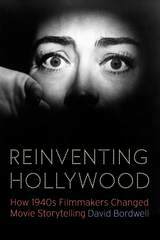 What does the modern human obsession with fabrications and frauds tell us about ourselves? And what can anthropology tell us about this obsession? 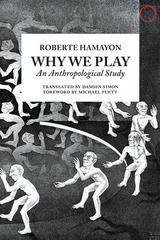 This timely book is the product of the first Annual Debate of Anthropological Keywords, a collaborative project between HAU, the American Ethnological Society, and L’Homme, held each year at the American Anthropological Association meetings. The aim of the debate is to reflect critically on keywords and terms that play a pivotal and timely role in discussions of different cultures and societies, and of the relations between them. 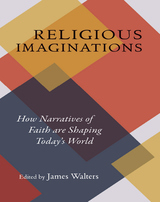 This volume brings together leading thinkers to interrogate the concept of fake cross-culturally, including insightful contributions by Giovanni da Col, Gabriella Coleman, Veena Das, John Jackson Jr., Graham Jones, Carlo Severi, Alexei Yurchak, and Jacob Copeman. What do we mean when we refer to world? How does the world relate to the human person? 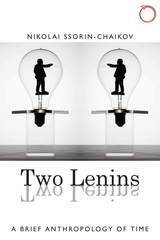 Are the two interdependent and, if so, in what way? What does world mean for an ethnographer or an anthropologist? Much has been said of worlds and worldviews, but do we really know what we mean by these words? Asking these questions and many more, this book explores the conditions of possibility of the ethnographic gesture, and how these shed light on the relationship between humans and the world in the midst of which they find themselves. As Pina-Cabral shows, recent decades have seen important shifts in the way we relate human thought to human embodiment—the relation between how we think and what we are. 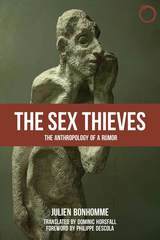 The book proposes a novel approach to the human condition: an anthropological outlook that is centered around the notions of personhood and sociality. Through a rich confrontation with ethnographic and historical material, this work contributes to the ongoing task of overcoming the theoretical constraints that have hindered anthropological thinking over the past century. How do deaf people in different societies perceive and conceive the world around them? Drawing on three years of anthropological fieldwork in Nepali deaf communities, Being and Hearing shows how questions of cultural difference are profoundly shaped by local habits of perception. Beginning with the premise that philosophy and cultural intuition are separated only by genre and pedigree, Peter Graif argues that Nepali deaf communities—in their social sensibilities, political projects, and aesthetics of expression—present innovative answers to the very old question of what it means to be different. 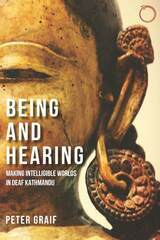 From pranks and protests, to diverse acts of love and resistance, to renewed distinctions between material and immaterial, deaf communities in Nepal have crafted ways to foreground the habits of perception that shape both their own experiences and how they are experienced by the hearing people around them. 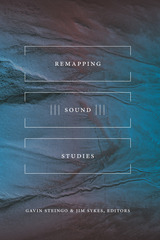 By exploring these often overlooked strategies, Being and Hearing makes a unique contribution to ethnography and comparative philosophy. 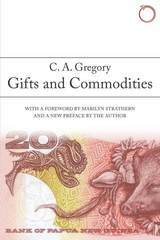 Christopher A. Gregory’s Gifts and Commodities is one of the undisputed classics of economic anthropology. 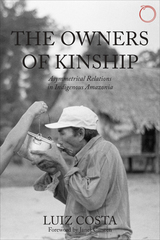 On its publication in 1982, it spurred intense, ongoing debates about gifts and gifting, value, exchange, and the place of political economy in anthropology. Gifts and Commodities is, at once, a critique of neoclassical economics and development theory, a critical history of colonial Papua New Guinea, and a comparative ethnography of exchange in Melanesian societies. This new edition includes a foreword by anthropologist Marilyn Strathern and a new preface by the author that discusses the ongoing response to the book and the debates it has engendered, debates that have become more salient in our evermore neoliberal and globalized era. 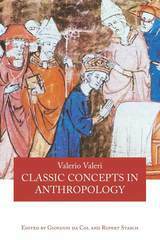 Scan down a list of essential works in any introduction to anthropology course and you are likely to see Marcel Mauss’ masterpiece, The Gift. With this new translation, Mauss’ classic essay is returned to its original context, published alongside the works that framed its first publication in the 1923–24 issue of L’Année Sociologique. With a critical foreword by Bill Maurer and a new introduction by translator Jane Guyer, this expanded edition is certain to become the standard English version of the essay—a gift that keeps on giving. 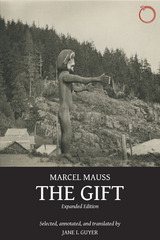 Included alongside the “Essay on the Gift” are Mauss’ memorial accounts of the work of Émile Durkheim and his colleagues who were lost during World War I, as well as his scholarly reviews of influential contemporaries such as Franz Boas, J. G. Frazer, Bronislaw Malinowski, and others. Read in the context of these additional pieces, the “Essay on the Gift” is revealed as a complementary whole, a gesture of both personal and political generosity: Mauss’ honor for his fallen colleagues; his aspiration for modern society’s recuperation of the gift as a mode of repair; and his own careful, yet critical, reading of his intellectual milieu. 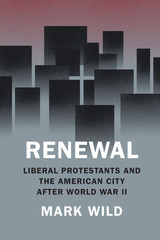 The result sets the scene for a whole new generation of readers to study this essay alongside pieces that exhibit the erudition, political commitment, and generous collegial exchange that first nourished the essay into life. The Art of Life and Death explores how the world appears to people who have an acute perspective on it: those who are close to death. 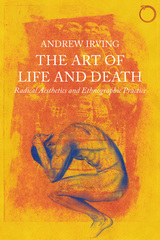 Based on extensive ethnographic research, Andrew Irving brings to life the lived experiences, imaginative lifeworlds, and existential concerns of persons confronting their own mortality and non-being. Encompassing twenty years of working alongside persons living with HIV/AIDS in New York, Irving documents the radical but often unspoken and unvoiced transformations in perception, knowledge, and understanding that people experience in the face of death. 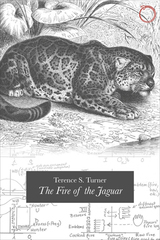 By bringing an “experience-near” ethnographic focus to the streams of inner dialogue, imagination, and aesthetic expression that are central to the experience of illness and everyday life, this monograph offers a theoretical, ethnographic, and methodological contribution to the anthropology of time, finitude, and the human condition. With relevance well-beyond the disciplinary boundaries of anthropology, this book ultimately highlights the challenge of capturing the inner experience of human suffering and hope that affect us all—of the trauma of the threat of death and the surprise of continued life. How people conceive of happiness reveals much about who they are and the values they hold dear. Drawing on ethnographic insights from diverse field sites around the world, this book offers a unique window onto the ways in which people grapple with fundamental questions about how to live and what it means to be human. Developing a distinctly anthropological approach concerned less with gauging how happy people are than with how happiness figures as an idea, mood, and motive in everyday life, the book explores how people strive to live well within challenging or even hostile circumstances. The contributors explore how happiness intersects with dominant social values as well as an array of aims and aspirations that are potentially conflicting, demonstrating that not every kind of happiness is seen as a worthwhile aim or evaluated in positive moral terms. In tracing this link between different conceptions of happiness and their evaluations, the book engages some of the most fundamental questions concerning human happiness: What is it and how is it achieved? Is happiness everywhere a paramount value or aim in life? How does it relate to other ideas of the good? 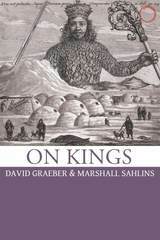 What role does happiness play in orienting peoples’ desires and life choices? 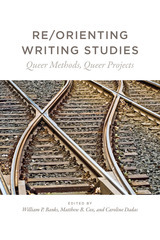 Taking these questions seriously, the book draws together considerations of meaning, values, and affect, while recognizing the diversity of human ends. 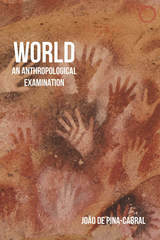 Anthropology has recently seen a lively interest in the subject of ethics and comparative notions of morality and freedom. This masterclass brings together four of the most eminent anthropologists working in this field—Michael Lambek, Veena Das, Didier Fassin, and Webb Keane—to discuss, via lectures and responses, important topics facing anthropological ethics and the theoretical debates that surround it. The authors explore the ways we understand morality across many different cultural settings, asking questions such as: How do we recognize the ethical in different ethnographic worlds? What constitutes agency and awareness in everyday life? What might an anthropology of ordinary ethics look like? And what happens when ethics approaches the political in both Western and non-Western societies. Contrasting perspectives and methods—and yet in complimentary ways—this masterclass will serve as an essential guide for how an anthropology of ethics can be formulated in the twenty-first century. Few scholars have had a more varied career than Sally Falk Moore. Once a lawyer for an elite New York law firm, her career has led her to the Nuremberg trials where she prepared cases against major industrialists, to Harvard, to the Spanish archives where she studied the Inca political system, and to the mountain of Kilimanjaro where she studied the politics of Tanzanian socialism. This book offers a compelling tour of Moore’s diverse experiences, a history of her thought as she reflects on her life and thought in the disciplines of anthropology, law, and politics. Bronislaw Malinowski’s path-breaking research in the Trobriand Islands shaped much of modern anthropology’s disciplinary paradigm. Yet many conundrums remain. 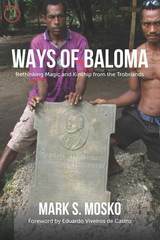 For example, Malinowski asserted that baloma spirits of the dead were responsible for procreation but had limited influence on their living descendants in magic and other matters, claims largely unchallenged by subsequent field investigators, until now. Based on extended fieldwork at Omarakana village—home of the Tabalu “Paramount Chief”—Mark S. Mosko argues instead that these and virtually all contexts of indigenous sociality are conceived as sacrificial reciprocities between the mirror worlds that baloma and humans inhabit. Informed by a synthesis of Strathern’s model of “dividual personhood” and Lévy-Bruhl’s theory of “participation,” Mosko upends a century of discussion and debate extending from Malinowski to anthropology’s other leading thinkers. 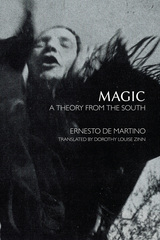 His account of the intimate interdependencies of humans and spirits in the cosmic generation and coordination of “life” (momova) and “death” (kaliga) strikes at the nexus of anthropology’s received wisdom, and Ways of Baloma will inevitably lead practitioners and students to reflect anew on the discipline’s multifold theories of personhood, ritual agency, and sociality. A generation of aspiring business managers has been taught to see a world of difference as a world of opportunity. 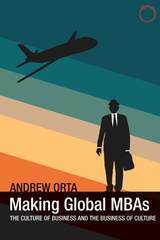 In Making Global MBAs, Andrew Orta provocatively examines the culture of contemporary business education, and the ways MBA programs participate in the production of the worldview of global capitalism through the production of the business subjects who will be managing it. 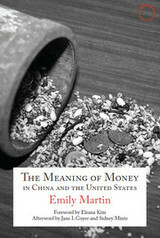 Based upon extensive field research at a set of leading US business schools, this groundbreaking ethnography shows how the culture of MBA training provides a window onto contemporary understandings of capitalism in the context of globalization. Orta details the rituals of MBA life and the ways MBA curricula cultivate at once habits of fast-paced technical competence and “softer” qualities and talents thought to be essential to unlocking the value of international cultural difference, while managing its risks. Making Global MBAs is an essential guide for prospective managers, for practitioners working internationally, and for students of globalization and of the contemporary business and politics of cultural differences. The Pitt-Rivers Omnibus brings together the definitive essays and lectures of the influential social anthropologist Julian A. Pitt-Rivers, a corpus of work that has, until now, remained scattered, untranslated, and unedited. 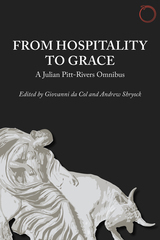 Illuminating the themes and topics that he engaged throughout his life—including hospitality, grace, the symbolic economy of reciprocity, kinship, the paradoxes of friendship, ritual logics, the anthropology of dress, and more—this omnibus brings his reflections to new life. Holding Pitt-Rivers’s diversity of subjects and ethnographic foci in the same gaze, this book reveals a theoretical unity that ran through his work and highlights his iconic wit and brilliance. Striking at the heart of anthropological theory, the pieces here explore the relationship between the mental and the material, between what is thought and what is done. 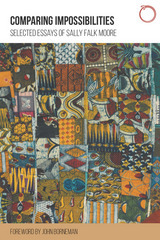 Classic, definitive, and yet still extraordinarily relevant for contemporary anthropology, Pitt-Rivers’s lifetime contribution will provide a new generation of anthropologists with an invaluable resource for reflection on both ethnographic and theoretical issues. We have all found ourselves involuntarily addressing inanimate objects as though they were human. For a fleeting instant, we act as though our cars and computers can hear us. In situations like ritual or play, objects acquire a range of human characteristics, such as perception, thought, action, or speech. Puppets, dolls, and ritual statuettes cease to be merely addressees and begin to address us—we see life in them. How might we describe the kind of thought that gives life to the artifact, making it memorable as well as effective, in daily life, play, or ritual action? 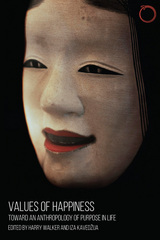 Following The Chimera Principle, in this collection of essays Carlo Severi explores the kind of shared imagination where inanimate artifacts, from non-Western masks and ritual statuettes to paintings and sculptures in our own tradition, can be perceived as living beings. 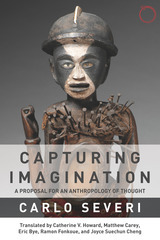 This nuanced inquiry into the works of memory and shared imagination is a proposal for a new anthropology of thought. 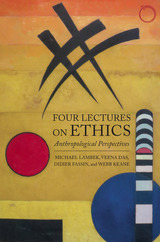 Set against the backdrop of anthropology’s recent focus on various “turns” (whether ontological, ethical, or otherwise), this pathbreaking volume returns to the question of knowledge and the role of translation as a theoretical and ethnographic guide for twenty-first century anthropology, gathering together contributions from leading thinkers in the field. Since Ferdinand de Saussure and Franz Boas, languages have been seen as systems whose differences make precise translation nearly impossible. 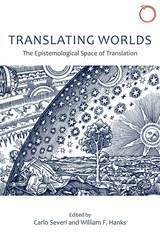 And still others have viewed translation between languages as principally indeterminate. The contributors here argue that the challenge posed by the constant confrontation between incommensurable worlds and systems may be the most fertile ground for state-of-the-art ethnographic theory and practice. 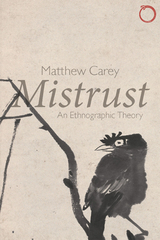 Ranging from tourism in New Guinea to shamanism in the Amazon to the globally ubiquitous restaurant menu, the contributors mix philosophy and ethnography to redefine translation not only as a key technique for understanding ethnography but as a larger principle in epistemology. 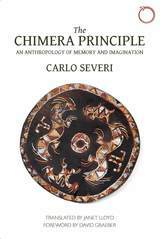 Available in English for the first time, anthropologist Carlo Severi’s The Chimera Principle breaks new theoretical ground for the study of ritual, iconographic technologies, and oral traditions among non-literate peoples. 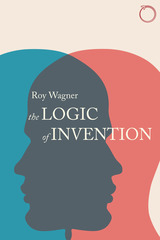 Setting himself against a tradition that has long seen the memory of people “without writing”—which relies on such ephemeral records as ornaments, body painting, and masks—as fundamentally disordered or doomed to failure, he argues strenuously that ritual actions in these societies pragmatically produce religious meaning and that they demonstrate what he calls a “chimeric” imagination. Rounded out with new English translations of a number of previously unpublished works, the resulting book is a wide-ranging portrait of one of the towering figures of contemporary thought—philosopher, anthropologist, ethnographer, ethnologist, and more. 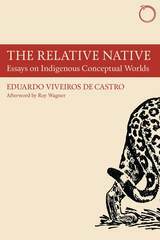 With a new afterword by Roy Wagner elucidating Viveiros de Castro’s work, influence, and legacy, The Relative Native will be required reading, further cementing Viveiros de Castro’s position at the center of contemporary anthropological inquiry.